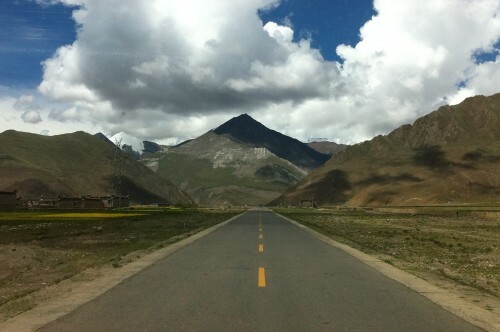 The magic of Tibet; an incredable mysterious and spiritual area. Between the highest peeks of the world and breathtaking scenery you find monks, pilgrims, prayer wheels and monasteries. A really holy place. On the other hand Chinese flags and a heavily armed police are overtaking the area. Visit Tibet before it is totally transformed in a regular Chinese city. Don’t forget to visit the highest mountain in the world, The Mount Everest. 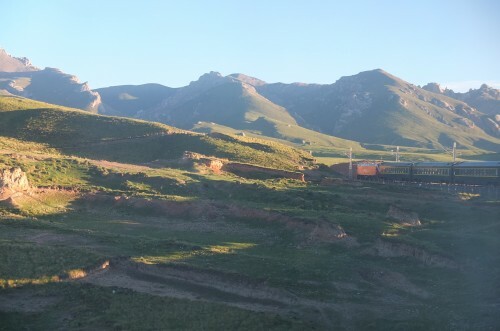 Take the highest train ride in the world to head to Lhasa with peaks over 5000 meter above sea level. Foreigners are not allowed to travel around Tibet by bus. Within Lhasa you are allowed to travel by bus though. *We didn’t visit Mt. Kailash, but this must be beautiful for hikers. Traveling to Tibet is quite difficult, not because of the infrastructure but because of all the restrictions from the Chinese government. Before 1950 Tibet was an independent country, since that year China claimed the area to be part of China. For mystearious reasons foreign tourists are not always allowed in Tibet, even if they are allowed they need a special permit (a kind of visa) and a private tour guide to take them through Tibet. The last months that the Chinese government didn’t allow Chinese tourists in Tibet was in 2009. We bought our permit at “Hello Chengdu International Youth Hostel“, although there are more responsible resellers, this was fine for us. We arranged everything by e-mail in English and paid at their hostel. They also arranged a tour guide, car and traintickets for us. Hostel bookings were made by ourselves. If you are going to travel to Tibet, your journey will probably start or end in Lhasa, the capital of the Tibet Autonomous Region (TAR). 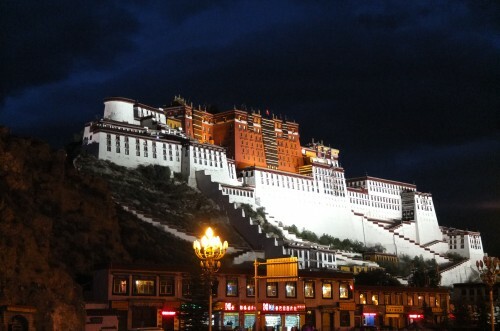 In Lhasa you find the incredable Potala Palace, the biggest (summer) palace of the Dalai Lama. Because of the irruption of China, the Dalai Lama had to flee to India in 2000. 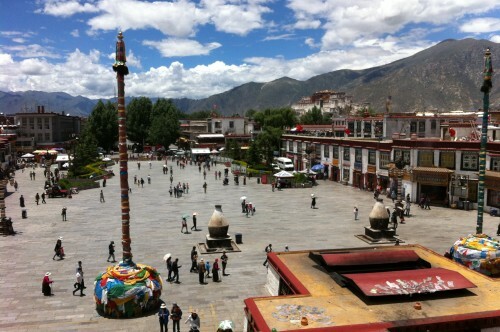 In Lhasa you also find the Jokhang square and temple, which definitely worth a visit. Most worthful places to visit can be done by feet in Lhasa, just two monasteries are a bit further but can be reached easily by bus. 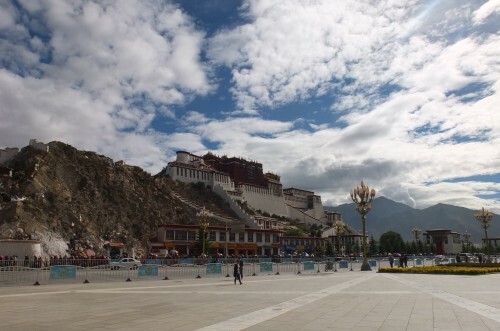 Lhasa is a holy and spiritual city, you can feel it there! 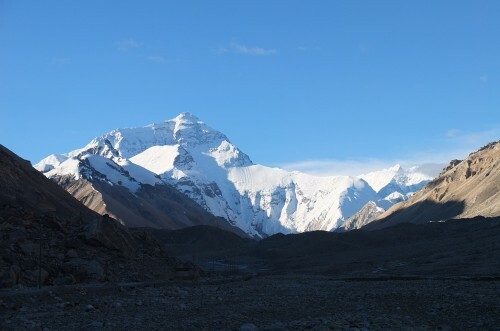 We would recommend you to visit Tibet as soon as possible. It looks like Tibet is taken over by China and will be totally transformed into a typical Chinese area. 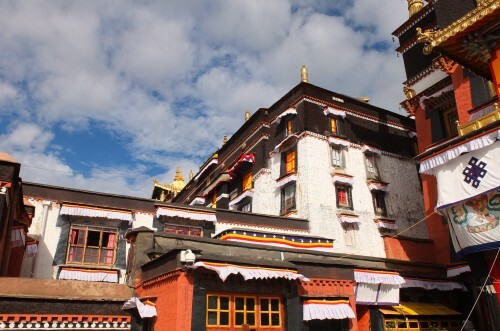 For example: all Buddhist buildings in Lhasa do have China flags at the roofs, why? We can’t believe that this was the idea of Tibetans, we assume that this is a rule of the Chinese government. If not, please correct us. Moreover pictures of the current Dalai Lama are forbidden in Tibet! That is also a restriction form the Chinese government. That’s unbelieveable if you ask us, how can the leader of the buddism religion be banned in his own country, even on pictures?! There is one official know drawing of him in a monastery in Shigatse.